America’s leading abortion provider has reassured Americans that no matter what the Supreme Court says is legal, it will ensure abortions are available. During the confirmation debate over Supreme Court Justice Brett Kavanaugh, abortion supporters claimed that if Kavanaugh was confirmed, he would eventually overturn the Roe v. Wade ruling legalizing abortion. In a Wednesday tweet, Planned Parenthood said it was gearing up to increase abortion access. “We refuse to let our country become a place where people can no longer access abortion. Today, we launched #CareForAll — a nationwide effort to ensure that abortion is still accessible no matter what happens at the Supreme Court,” it tweeted. We refuse to let our country become a place where people can no longer access abortion. Today, we launched #CareForAll — a nationwide effort to ensure that abortion is still accessible no matter what happens at the Supreme Court. The plan has many pieces, Planned Parenthood noted in a statement. One piece involves ensuring that Planned Parenthood works to help women who live in states with limits on abortion get abortions in neighboring states. “Planned Parenthood will also be expanding its ​telemedicine​​ services to increase access to medication abortion for patients living in remote communities. Currently, Planned Parenthood health centers in 14 states use ​telemedicine​ to provide medication abortion services, but that number will increase soon,” a statement said. 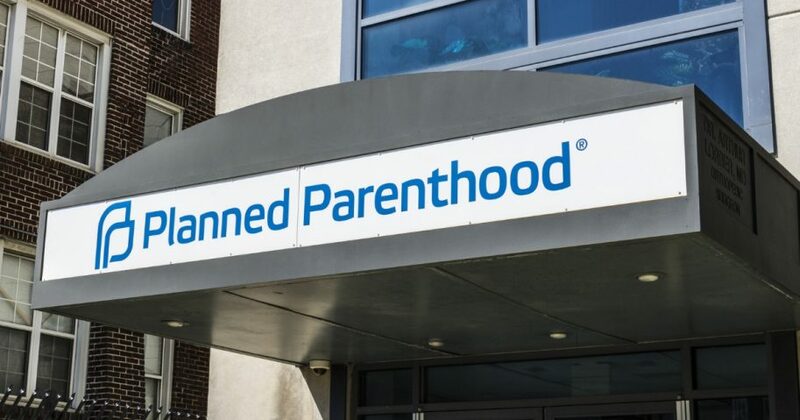 Planned Parenthood also tweeted a link to an NPR story in which Planned Parenthood Executive Vice President Dawn Laguens said the group will “super-size” its efforts support abortion. “Over the last years, obviously, there has been a great retraction of access for women in this country in many, many states,” Laguens said, referencing state laws that have sought to reduce abortion access. Are you troubled by Planned Parenthood's efforts to make abortion more accessible? Using entertainment as a publicity arm is part of the plan. Planned Parenthood Vice President of Communications Kevin Griffis said the organization is trying to get TV writers and producers to soften the image of abortion. “[Stigma] truly is at the heart of the attacks that we’re seeing,” Griffis said. “And I think the key to reducing that is really being able to change people’s perception of abortion so that they see it for what it is — which is a really safe medical procedure and a typical, standard part of health care. “​We want to help as many people as possible understand what abortion stigma is and how people in different communities — including communities of color and the LGBTQ community — may experience it,” Planned Parenthood said in its statement. Kristan Hawkins, president of Students for Life of America, said no amount of marketing can cover up the awful nature of Planned Parenthood’s product, Breitbart reported.